PALS: Promoting Acceptance and Learning through Sports (PALS) is a buddy program designed to create opportunities for learning and friendships for students at the elementary school with intellectual or developmental disabilities as well as their older high school buddies. The elementary students are paired with one or two high school student from Mount Greylock for a five week program. The first program is kickball, and it began on September 27th. There have been approximately 20 Mount Greylock students this session that have attended and become buddies with a student from the elementary school. 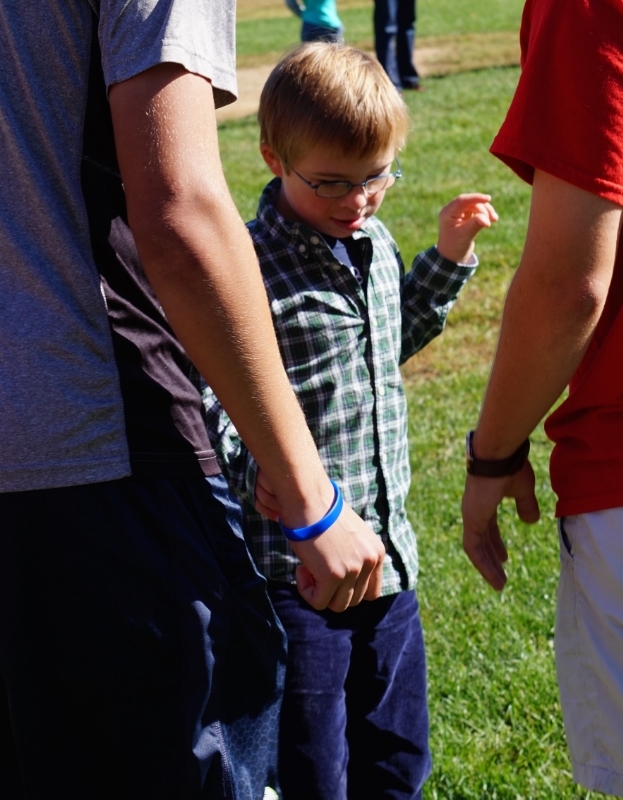 The elementary participants and any siblings present are divided into teams to participate in a kickball game, including both running the bases and playing in the outfield with the help of their MG buddy. If the program continues to be successful, there will be three other sessions this school year. Buddies will participate in both a Swimming and Bowling program in the winter, and another program in the spring. The program is being funded through a WESE grant.